At Finisterre, they know cold weather surfing isn't easy. As cold weather surfers, Finisterre takes pride in exploring new waves. 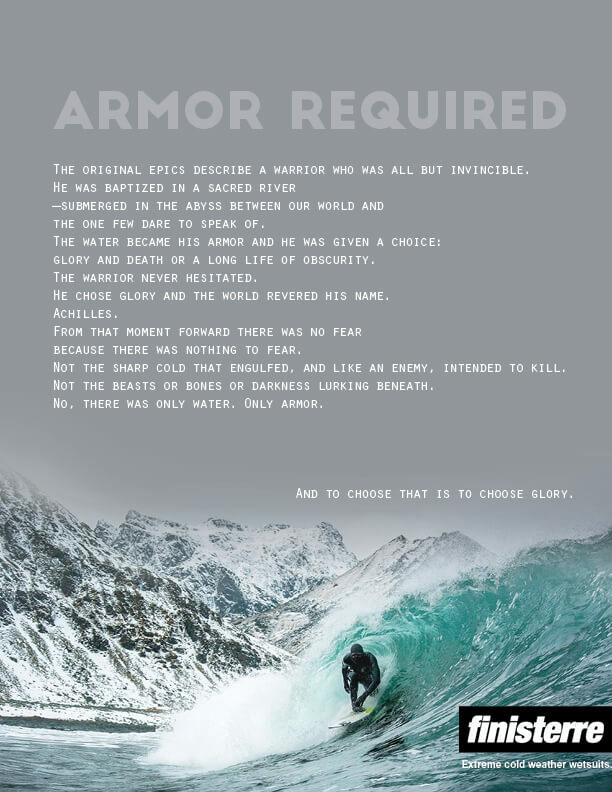 As a company they take pride in making a wetsuit that can withstand them. Each print also unfolds into a poster. 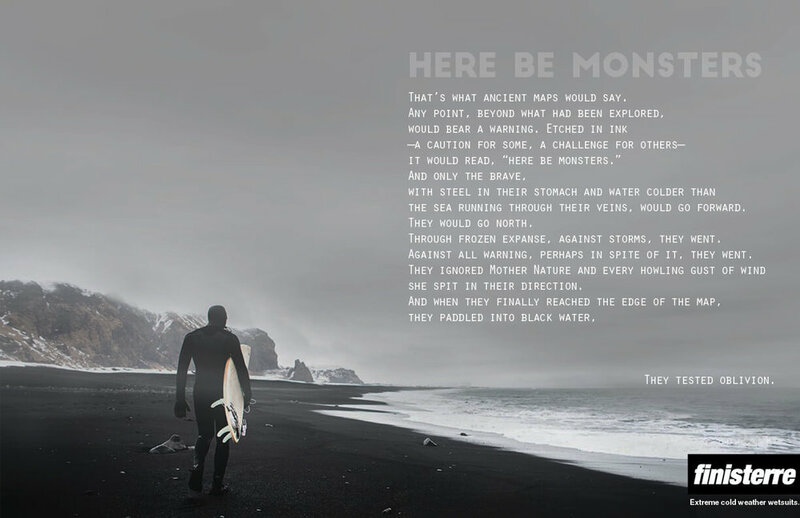 A friendly reminder to other surfers that the water out here is just fine. 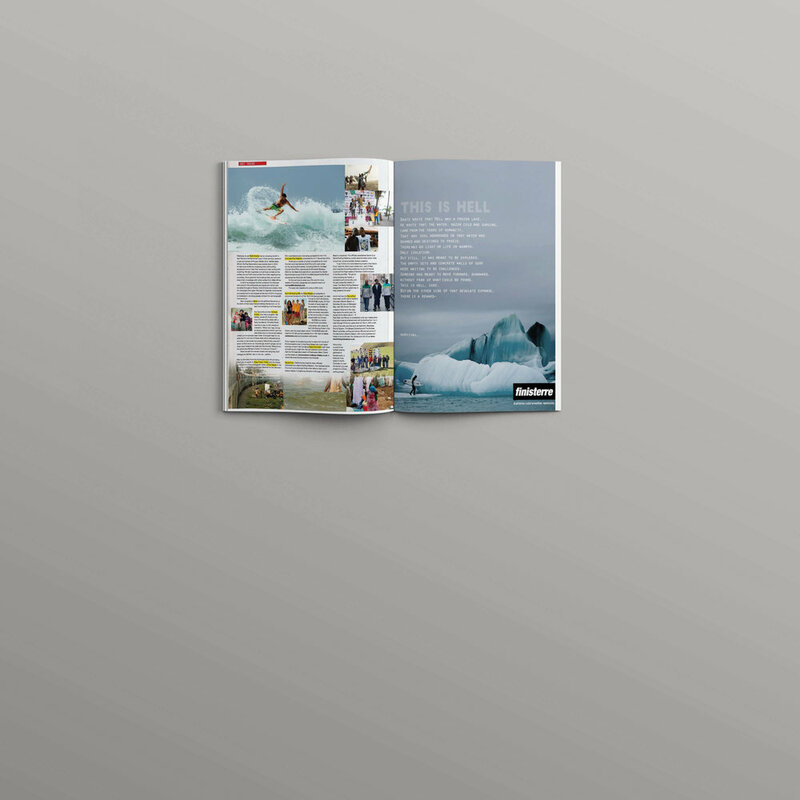 Site traffic is given the option to redirect to the Finisterre website. A lot more than just surfing happens between when you put on your wetsuit and when you take it off. Finisterre wants to improve the entire experience—from prepping gear to thawing out after a long session. Freezing water = frozen wax. 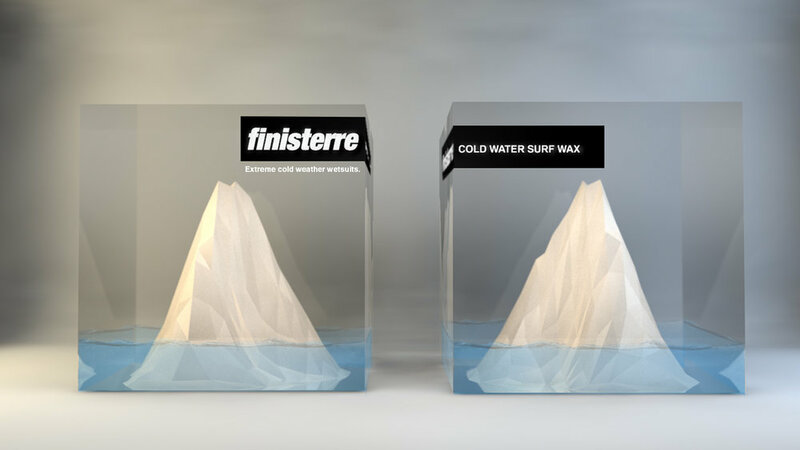 To prevent wax from hardening, cold weather surfing requires the softest wax available. Get from land to sea with ease. Even if there's a mountain or two in between. 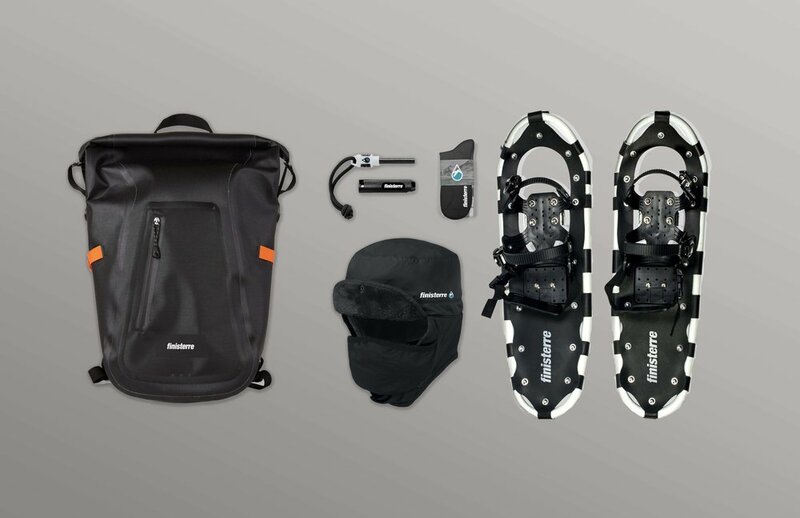 From L to R: Waterproof pack, fire starter, waterproof thermal socks, snowshoes, and snow hat with face mask attachment. Designed, tested, and made for the extreme cold. 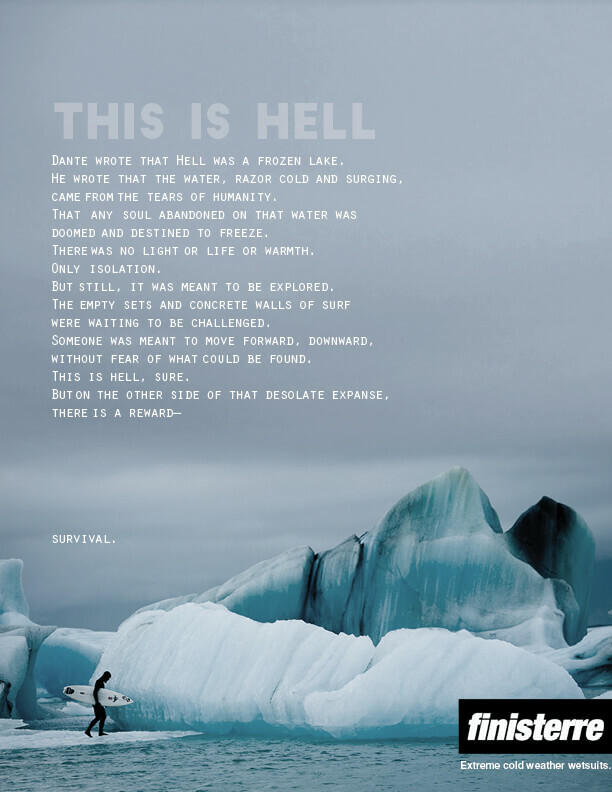 By surfers made for the extreme cold. Waterproof thermal shirt & whiskey wetsuits. Alcohol lowers core body temperature so wait until you get back to that cozy cabin with the roaring fire before you drink. 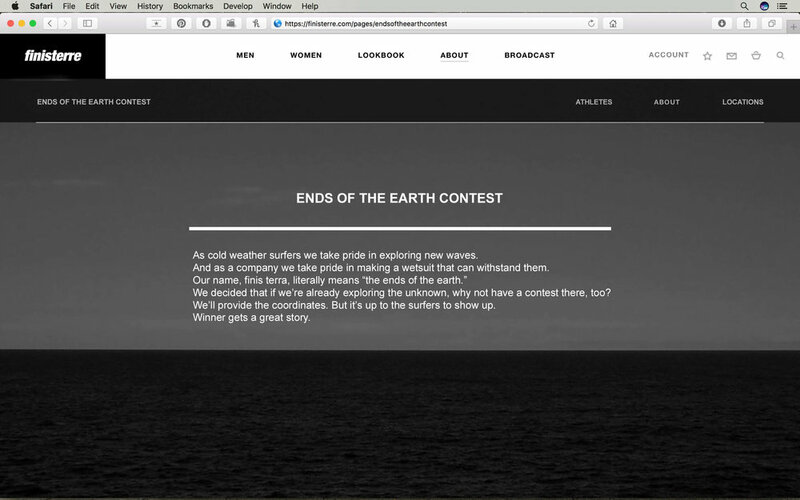 If cold weather surfers are already exploring the unknown, why not have a contest there, too? Finisterre will provide the coordinates, but it’s up to the surfers to show up. Winner gets a great story. 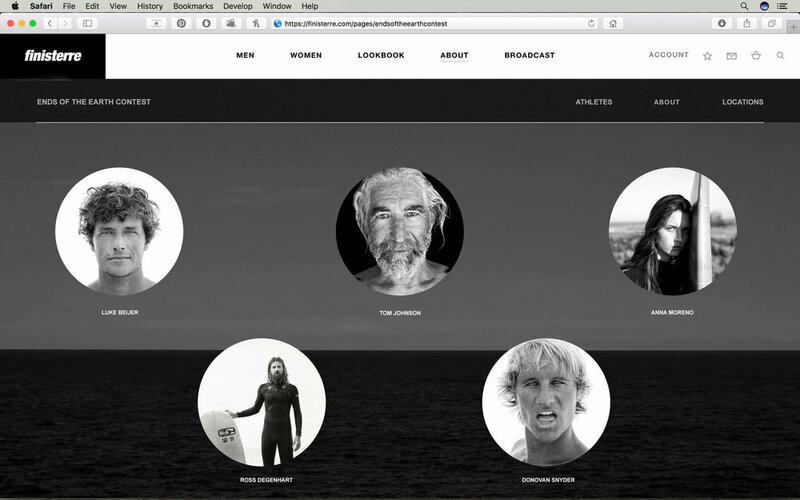 Winners share their stories on the Finisterre site.